Cut in the aesthetically pleasing style of the 1968 Topps design, Topps’ 2017 Heritage is a throwback to a season that was defined by the mound dominance of Bob Gibson and his miniscule 1.18 ERA. While the feel of the set doesn’t quite have the aggressiveness of Gibson’s fastball, it is the simplicity of the overall package that will attract collectors to this year’s issue. 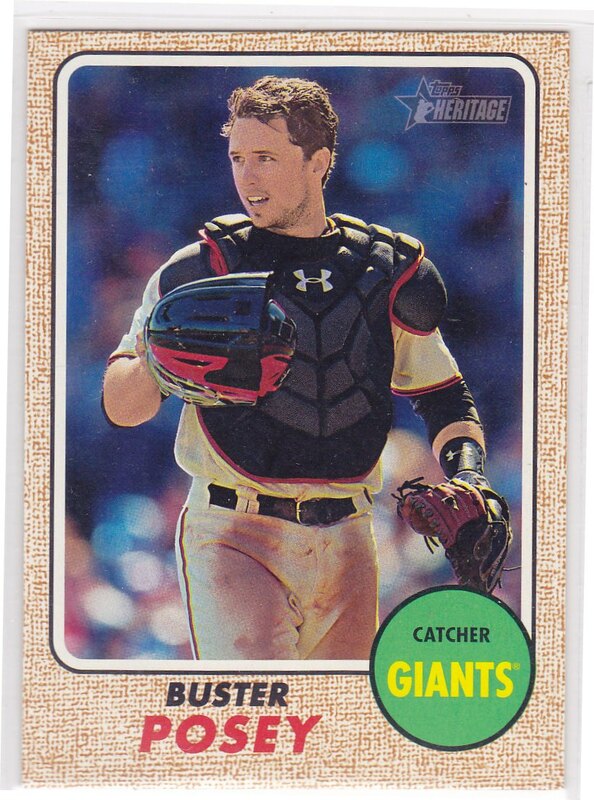 While some of Topps’ other releases feel like a parade of bells and whistle with all kinds of shiny inserts, the traditional aspect of Topps Heritage is what keeps collectors coming back to this product. Nuances like the puzzles of Kris Bryant and Mike Trout on the back of the All-Star cards, as well as the action and letter variations are the right amount of diversity to make you pay attention to the details without losing sight of what brought you to the product in the first place. A certain gem of 2017 Topps Heritage is the selections for the dual and triple Real-One autographed cards. 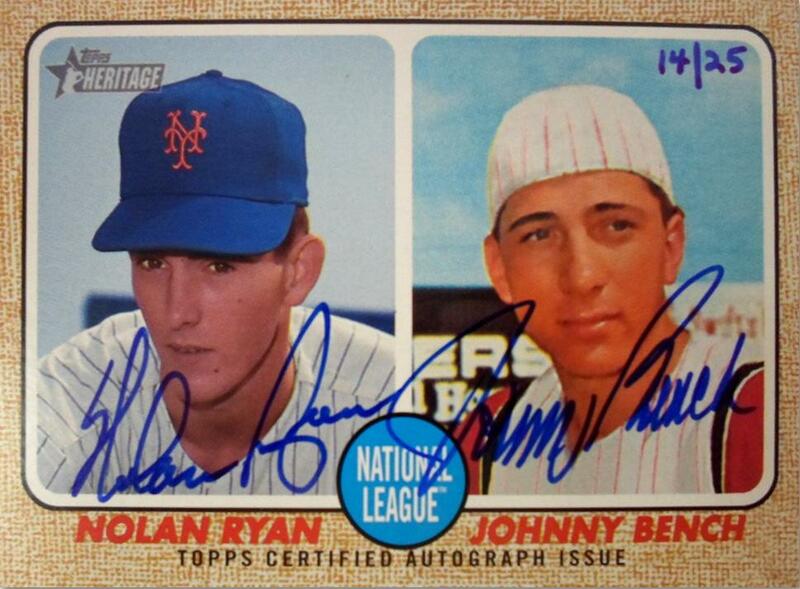 Lucky individuals will garner a signed card of the fantasy Hall of Fame battery of Nolan Ryan and Johnny Bench. Others so fortunate will pull signed cards by three franchise Hall of Famers, with the Cardinals supplying Steve Carlton, Orlando Cepeda, and Lou Brock on the same card, while the Baltimore Orioles put out stalwarts Brooks Robinson, Frank Robinson, and Jim Palmer on another. These multi-signed cards are highly desirable pieces that could easily serve as the cornerstones of many hobbyists collections. Set collectors however, will face a major challenge in completing the 500-card set. 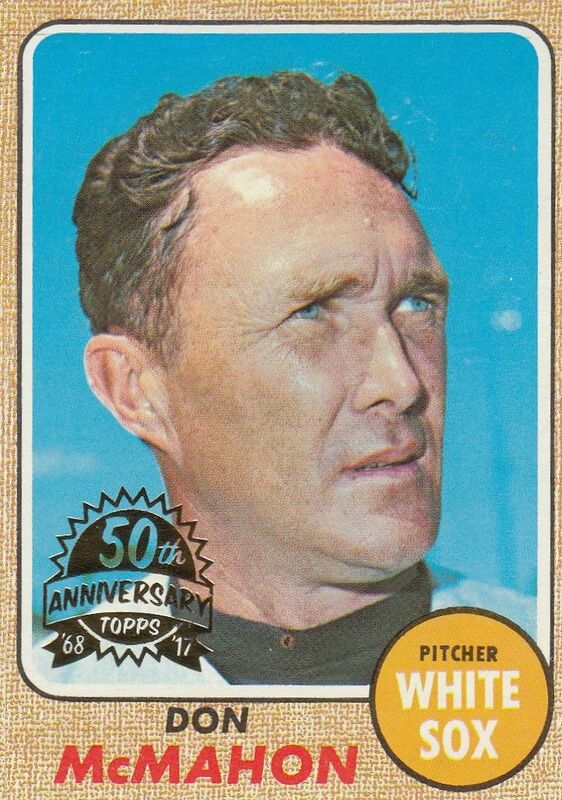 The yield from the 24-pack box is well short of the fifty percent mark, further complicated by the 100 short printed cards at the end of the set. The box provided for this review only yielded eight short prints, which will undoubtedly force collectors to the secondary market to finish things off. A cool touch to the box provided for this review was the addition of a 1968 Topps buyback card, further connecting the past with the present as intended by the theme of the Heritage set. 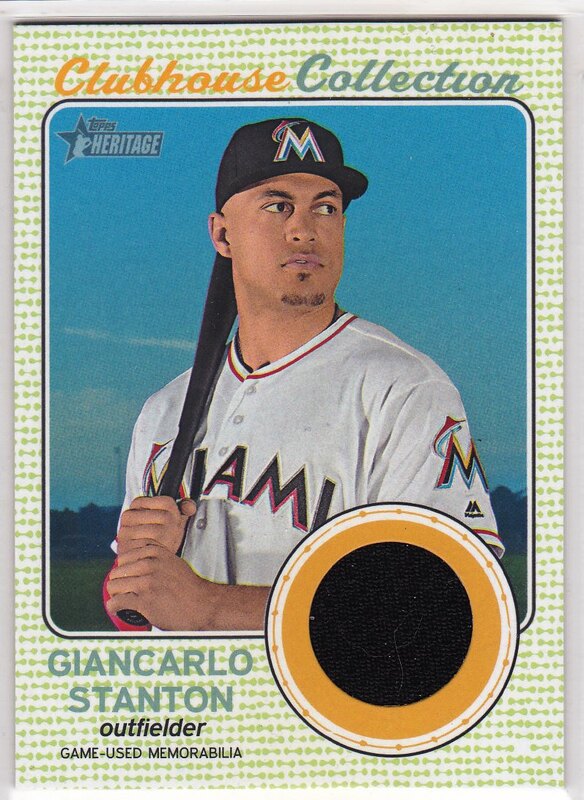 While hoping for one of the aforementioned dual autographs, this box yielded a Clubhouse Collection relic card of Miami Marlins slugging outfielder, Giancarlo Stanton. 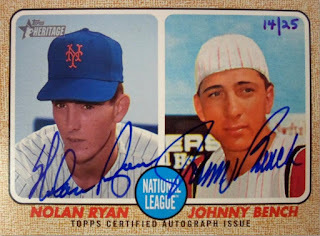 Despite the fact that a set will be difficult to build out of one, or even two boxes, the clean and simple design combined with the possibility of pulling a monumental autograph should push collectors to explore the depths of the 2017 Topps Heritage release well into the regular season.